AREU maintains a catalogue which containing live download links to all previous AREU publications with summaries, as well as research project outlines and indexing by author and paper type. It also indicates when a Dari or Pashto translation is available and links to these. Click here to download the latest version of the AREU Publications Catalogue. Please note the catalogue is updated twice yearly, in June and December. Click here for a list of AREU’s most recent publications. 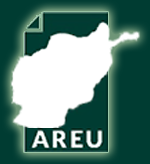 AREU maintains a catalogue which contains live download links to all previous AREU publications with summaries, as well as research project outlines and indexing by author and paper type. It also indicates when a Dari or Pashto translation is available and links to these.